Drum Workshop Drums and Pedals, Sabian Cymbals. I use my main kit in several different configurations depending on the musical context. 1. Full Setup – 10″, 12″, 14″ & 16″ toms, 22″ bass drum, 13″ & 14″ snares. 14″ Sound Control Crash, 16″ China Boy. 2. Five Piece Setup – Jazz, R&B, Pop, Rock & Country. 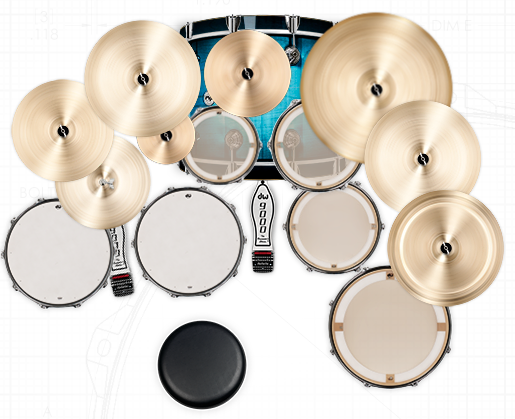 10″, 12″ & 14″ toms, 22″ bass drum, 14″ snare. 3. 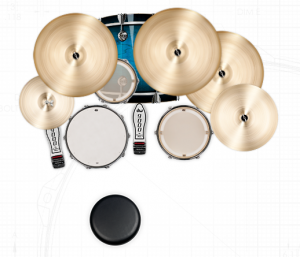 4 Piece Setup – Blues, Rock, R&B. 12″ & 14″ toms, 14″ snare, 22″ bass. 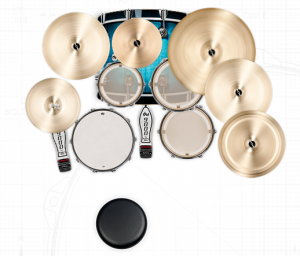 16″ AA Medium Thin & AA Fast Crash. 4. 4 Piece Setup -Pop, Rock, Latin, Jazz. 5. 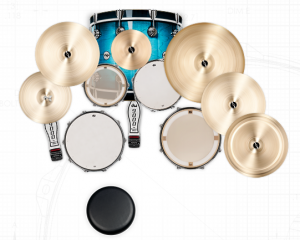 4 Piece Setup – Jazz. 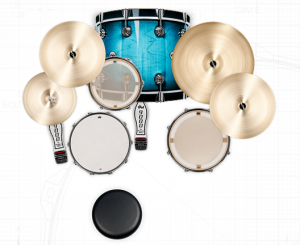 10″ & 12″ toms, 16″ bass, 14″ snare. 21″ Jack DeJohnette Encore Ride, 16″ AA Fast Crash. Genera G1 & G2 Coated, EQ Bass Drum, Black Resonant.